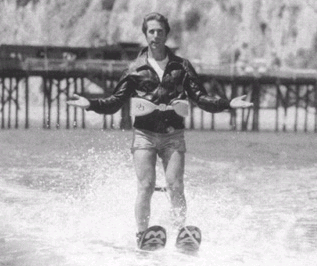 Title Announced for new X-Files movie: "X-Files: Mystery of the Jumping Sharks"
The X-Files is coming back. This used to be one of my favorite shows. After 5-6 seasons (around the time of the movie), they stopped doing clever stand-alone shows and started to focus on the Conspiracy. The alien storyline was done well originally when it was not every episode, which made the individual black oil episodes more interesting. Once that became the central plot-line of the show, connecting each episode to the next, the plot began to, ironically, fall apart. I never saw the end of the series. Couldn’t bring myself to watch the Terminator-guy do his thing. He wasn’t bad. But after 9 years how skeptical can you still be? As the audience, you damn well KNOW something is odd. The show had to start making REAL explanations (“the ink in the tattoo caused you to hallucinate”) to be the twists. Will I go see the movie? Probably. But first I’ll have to read up on how everything ended in the TV show.